This week in Strasbourg I gave a speech in plenary welcoming the European Parliament’s recommendations for strengthening EU rules on commercial transactions. The report was approved providing the basis for further work to strengthen the late payment directive. Combatting late payments in the UK and across the EU is essential if we are to protect small businesses owners and the millions of people who work for them. How do late payments damage small businesses? Small businesses often operate with limited resources and narrow margins, meaning that late payments can be crippling. As a former small business owner myself, I know that it isn’t lack of profitability that sends businesses under, it’s lack of cash. A lack of cash leaves small businesses reliant on credit cards or other means of credit to make ends meet, with over a third of small firms running into cash flow difficulties while they wait for their invoices to be paid. These late payments routinely force business owners into a difficult choice, between not taking a salary from their business and having to lay people off. It gets worse; late payments are so commonplace in the UK that they lead to the closure of an estimated 50,000 businesses a year in the UK alone, at a cost to the British economy of £2.5 billion annually. That is the livelihood of 50,000 business owners and many more members of staff destroyed each year because corporations and public bodies fail to pay invoices on time. In the private sector, supply chain bullying is all too common. A power imbalance between small businesses and their often much larger customers allows these larger customers to leverage their power to make unreasonable demands and requests for discounts in return for prompt payment. 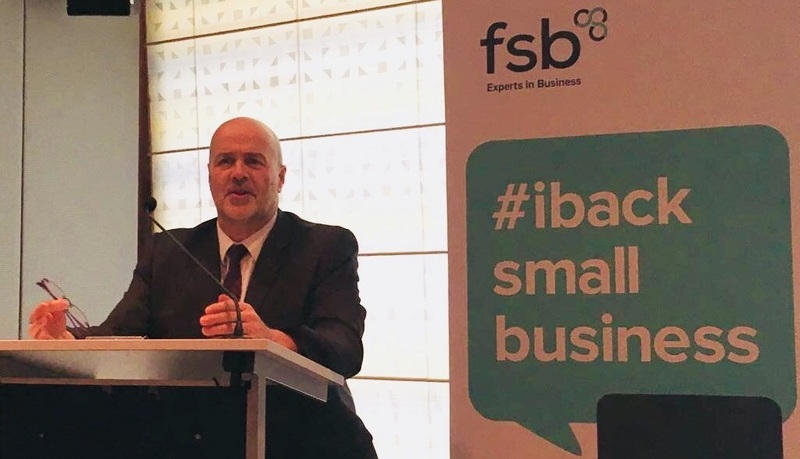 Late payment plagues the public sector too, with the Federation of Small Businesses estimating that nine out of 10 public sector suppliers have been paid late. The failure of the public sector to lead by example was highlighted by the recent collapse of facilities management and construction giant Carillion. Carillion was known as a chronic late payer, yet despite efforts in the UK to link procurement rules with payment performance, it was awarded 420 central and local government contracts worth over £5.7bn. Its collapse exposed 30,000 suppliers and sub-contractors to extreme financial risk. With Tory spending cuts strangling the public sector on the one hand and uncertainty over Brexit depressing investment into the country on the other, small businesses are facing unprecedented business costs. They could do without the stress, time and money required to chase overdue payments from corporate clients. It is worth remembering that with the trend to outsourcing and contracting ‘self employment’ and ‘small businesses’ now play the roles of formerly employed Labour. We could debate the cultural niceties here, but when we talk about ‘small businesses’ we are really talking about ordinary working folk much of the time. It is clear that ending late payment practices would alleviate the burden on small businesses and protect jobs. It would also increase tax revenue by boosting business profits and productivity and slashing the number of small businesses forced to the wall. People are starting to wake up to the damage late payments can have on small businesses and there have been positive steps taken in recent years. The EU continues to lead the way in this respect, and the adoption of the 2011 Late Payment Directive introduced a number of important changes such as new requirements that business payment terms should never exceed 60 calendar days, unless expressly agreed by both parties and provided that it is not ‘grossly unfair’ to the creditor. Linking procurement rules with payment performance. A year on from the disastrous collapse of Carillion, this is exactly the kind of initiative that should be pursued to prevent this kind of corporate disaster from ever happened again. Automatic accrual of interest for the public sector. The public sector should lead by example and should pay on time. Mandatory reporting requirements for larger firms. This is a positive step that has already been taken in the UK and other EU countries should look to replicate this. It is essential that these recommendations are taken forward to strengthen the EU rules currently in place. The UK implemented the Late Payment Directive into national law in 2013, adopting the requirement that business payment terms should never exceed 60 calendar days, unless expressly agreed by both parties and provided that it is not ‘grossly unfair’ to the creditor, and setting out that public authorities must pay invoices within 30 days. The UK also has a voluntary ‘Prompt Payment Code’, under which organisations are invited to sign up to the code in return for which they can publish the PPC logo on their documentation and website and benefit from the reputational boost this brings. Since 2017, large companies have also been under a statutory duty to publish their payment practices, which includes information on standard payment terms; the average time taken to pay invoices; and the percentage of invoices paid outside of the payment terms. Parliament also created the Small Business Commissioner, to tackle late payments. Despite these requirements being in place, it is clear that a culture of paying late has become the norm. Large companies continue to employ damaging late payment practices well in excess of the 30 and 60 day requirements, while small businesses feel like they are forced to choose between a bad business relationship with a large supplier or no relationship at all. They often accept punitive payment terms as the price they have to pay for securing a big customer. It is early days for the Small Business Commissioner, but it is clear that his work is cut out for him. Charged with bringing about a change of culture, his office must be equipped with the necessary powers and the resources to hold large companies to account. I have worked closely with the Federation of Small Businesses in the UK to raise this issue in the European Parliament. 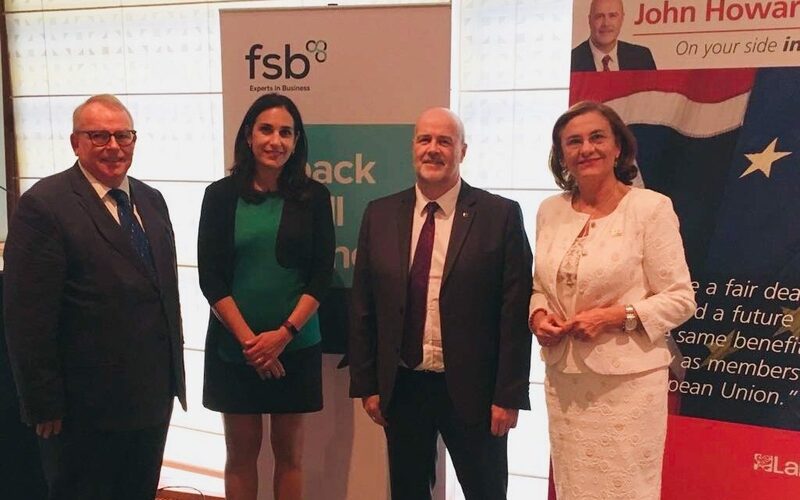 In September 2018, I hosted an event that brought together small businesses, business federations, policy experts and MEPs to discuss ways to tackle the late payment culture (pictured at the top of the article and below with Maria Grapini MEP). This week, I gave a speech (above) in plenary welcoming the European Parliament’s recommendations and calling on the European Commission to launch a new public consultation as the next step to strengthening EU rules on commercial transactions. If and when the UK leaves the EU, the EU will continue to be British small businesses’ biggest export market and their biggest source of non-domestic customers, so whatever happens it is and will remain in everyone’s interest that a culture of prompt payment is developed.